As a Vitiligo Specialty Clinic, Ayurhealthline has the specialty to help in re-pigmentation and coverage of Vitiligo & Leucoderma spots. Anti Vitiligo kit is 100% Ayurvedic formulation made by Herbs which has been formulated after extensive research from Dr.Ravish Kamal who is a renowned Vitiligo Specialist and has Researched & Developed this unique Anti Vitiligo kit treatment to treat his patients suffering from white patches without any side or adverse effects. Since past 13 years Anti vitiligo kit is considered most effective Ayurvedic treatment for vitiligo across world. It is a customised kit and varies on case history provided & place of living of patients. As the Kit is customised for every patient, it provides promising results in Vitiligo cases. Before start of Anti vitiligo kit treatment, patients are advised to fill the Online consultation form to complete the process of kit customisation by our expert. Immunity stabilisation and melanocyte re-activation is the fundamental theory of this treatment kit. 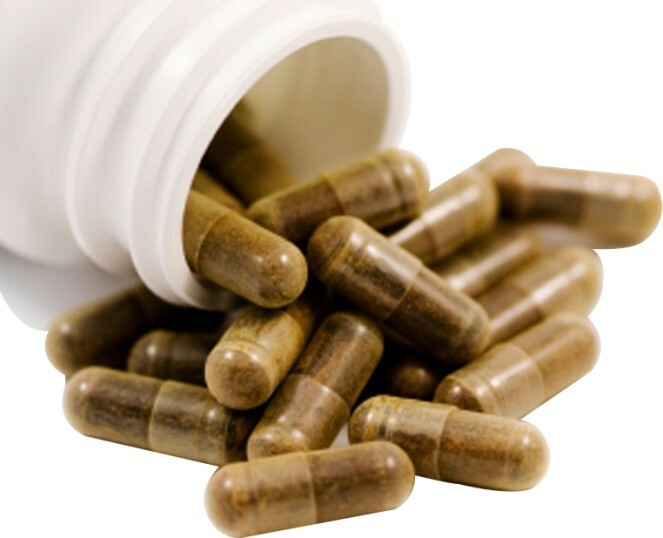 It is a herbal research based formulation of herbs in form of capsules for easy oral intake. It helps to start re-pigmentation immediately. The initial results of pigmentation can be seen within few weeks over the vitiligo patches normally. The healing white patch pattern could be brown spot formation, side-wise squeezing or pink conversion of a patch. It’s a wonder herbal medicine without any side effects. It’s a formulation of photosynthetic nature herbs in form of capsules for easy intake, which acts as a pigment catalist when used with Anti Vitiligo capsules. It helps to trigger the re-pigmentation process by increasing the efficiency of Anti Vitiligo capsules. It is a herbal research based formulation of herbs in form of capsules for easy intake, to be used in autoimmune conditions. Herbal immunostabilizers inside it helps in faster healing in vitiligo cases. Helps to control spreading after few month uses. It is a herbal research based formulation of herbs in form of powder for application over the white patches. It helps to start re-pigmentation immediately after penetrating through skin pores over the vitiligo white patches. Coverage pattern could be brown spot formation or sidewise squeezing or pink conversion of a patch. It is a herbal research based formulation of herbs in form of oil for application over the white patches. It helps to start re-pigmentation immediately after penetrating through skin pores over vitiligo white patches. Pattern could be brown spot formation or sidewise squeezing or pink conversion of a patch. Softer and delicate skin area application. Application – daily once over affected areas only. Please note that the Anti vitiligo kit is a part of treatment & consultation for vitiligo patients which is dispensed with consultation to patients of Dr.Ravish Kamal only. It is a customised treatment & our specialist decides the doses of it.